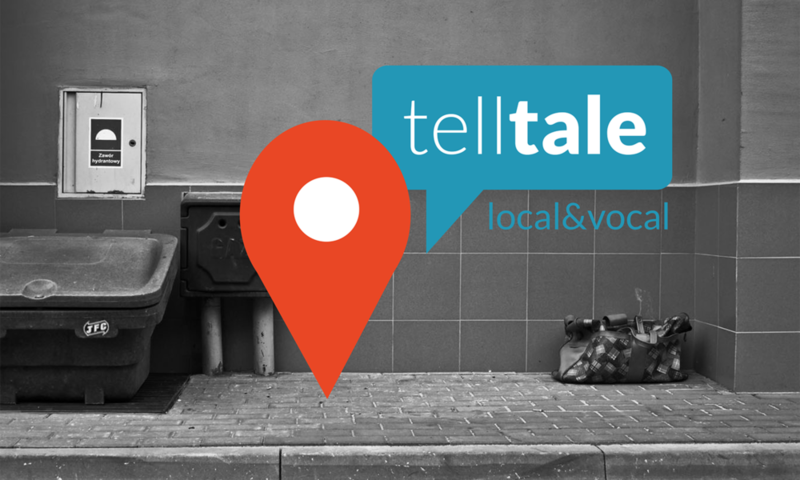 How do you hear the voice of a neighbourhood? In this 48 hour Service Jam we wanted to explore how people tell stories and stay connected with the place where they are. We developed a way to view stories where they happen. Funny stories get tucked into restaurant reviews and photo sharing apps, but we wanted a way to root them to the spot where they happen, and watch the neighbourhood's voice grow over time. See something funny on your way home from work? Discover something peculiar at the bus stop? Write it down, post a photo, share the story with those around you. The same people walk over the same pavement every day. Now you can hear what happens to other people around you. An early note from the process. We started as a larger team, but later broke into two projects. We also went out to the local market to talk to people about how they share stories. We used the Business Model canvas to organise our thoughts. Late night lists kept us sort of sane. This project started in a service jam with a really big group. We were nine people and couldn't agree on a solid concept. So late Saturday night, five of us decided to go back to our original idea. We wanted something uncomplicated and easy to understand. The intention of this app is to only see what is close to you, and not all over the world. We wanted to keep it hyper local. When we thought about viability, we didn't want to charge for people to add stories or read those close to them. But what if you are moving and want to know what neighbourhood to live in? We thought that could be a good opportunity to pay a small fee to peak into another place and get a feeling for that area.